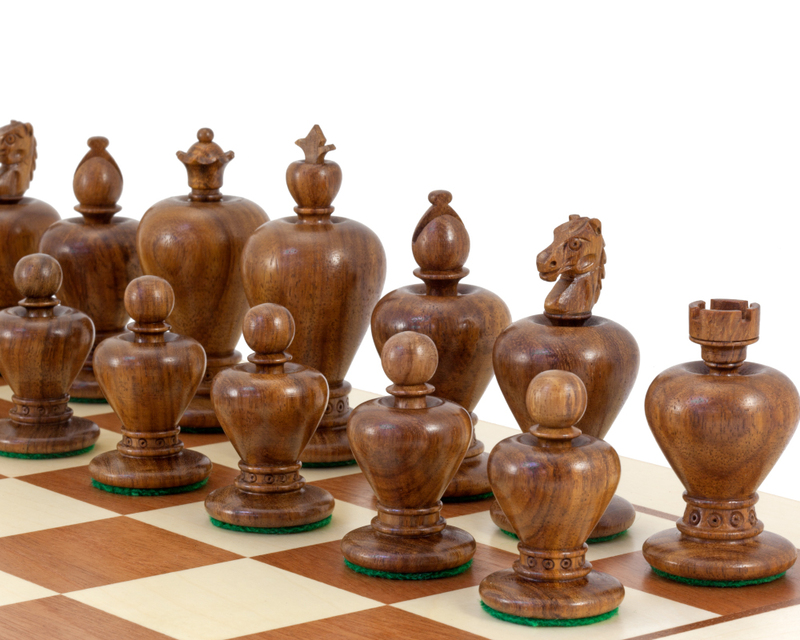 Expertly crafted from golden rosewood. 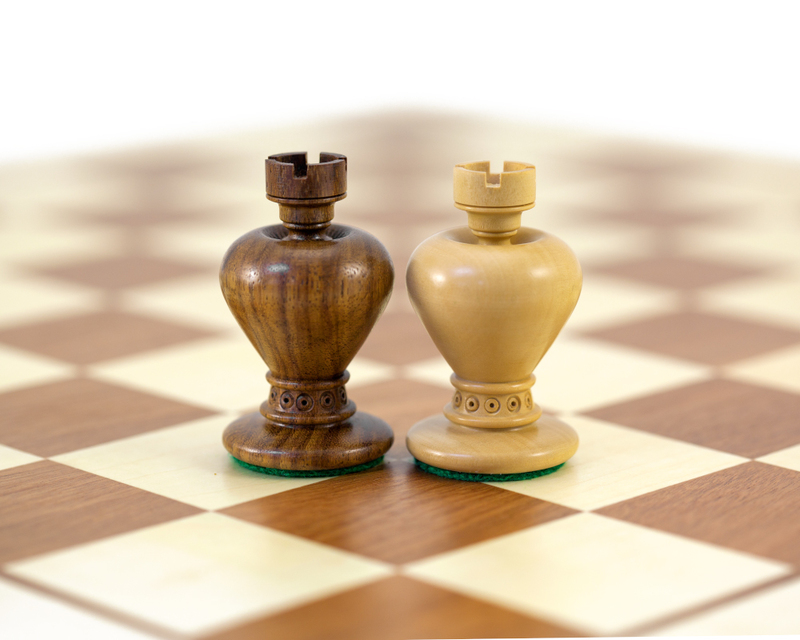 Perfect on an 18 inch (45 cm) board. 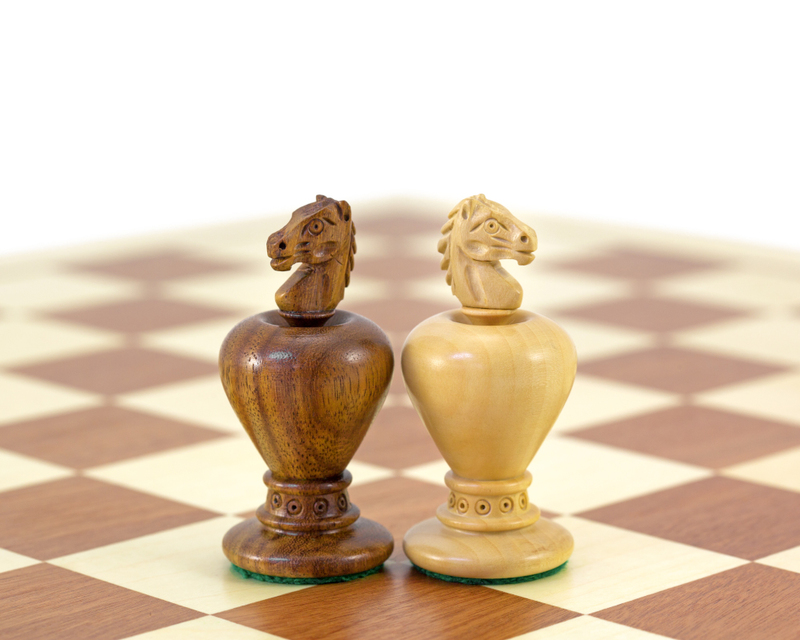 The Apple Series Chessmen are smoothed expertly from deep, golden rosewood and light boxwood. 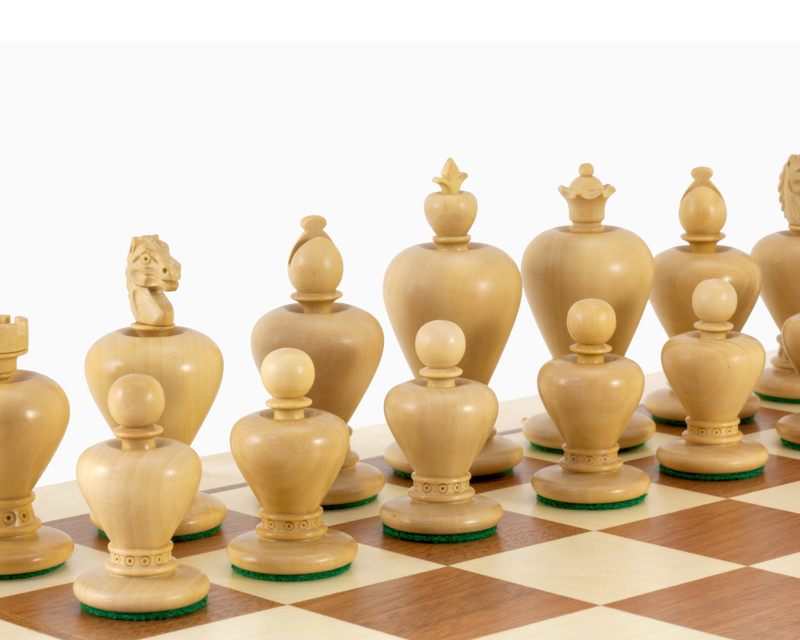 Every piece stands firmly with a bulbous midriff, rounded arduously by our affiliate craftsmen. 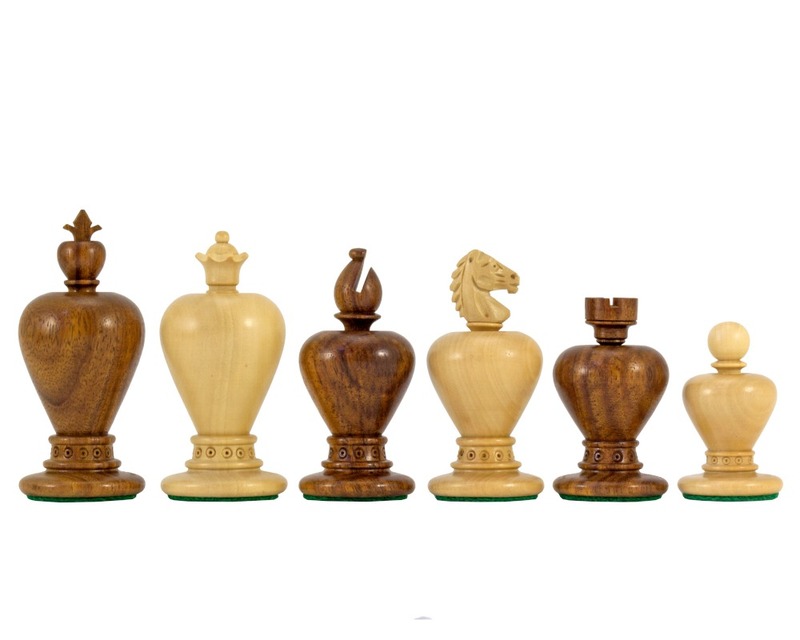 Regency Chess first started selling the Apple Series Chessmen in 2013, following a year-long search for an unorthodox range that could offer our customers a unique, ornamental addition to their chess collection. 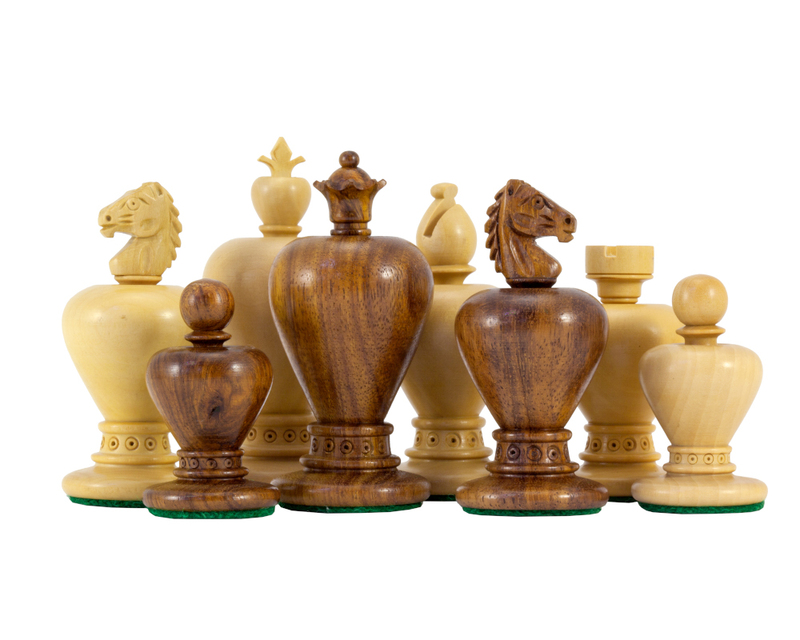 Our search criteria, which included solid weight, eye-catching design and quality finish, were all ticked off with the Apple Series Chessmen. 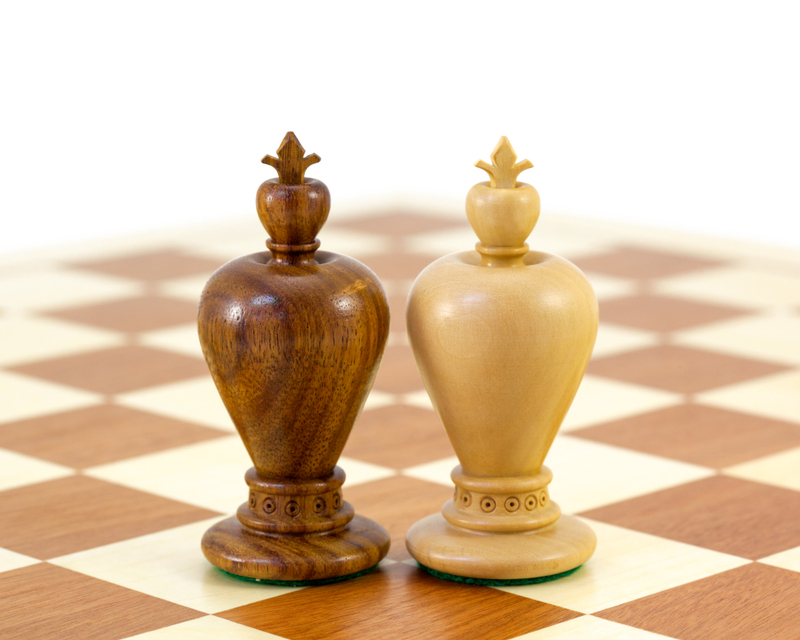 That is why we are so proud to make these unique golden rosewood and boxwood chess pieces available to our customers.